Working from home never looked so good. 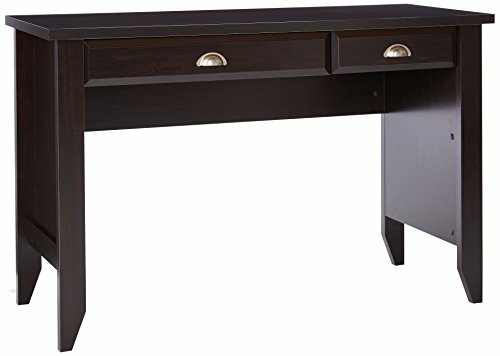 This computer desk from the Shoal Creek collection gives you a spacious workspace for all your office essentials. It includes a flip-down panel with a slide-out keyboard/mouse shelf along with a small drawer – both open and close on smooth metal runners. Finished in Jamocha Wood with nickel bin pulls, this desk will instantly class up your home office. Flip-down molding reveals slide-out keyboard/mouse shelf with metal runners and safety stops. Small drawer with patented T-lock assembly system. View More In Home Office Furniture.